Karpuramanjari: Reliance ‘Power’ful IPO: Any Lessons to Pick? Reliance ‘Power’ful IPO: Any Lessons to Pick? Wow, What a beginning! Indians cannot think of a better start for 2008 than what has been witnessed during the first fortnight of January: one, Ratan Tata showcased his engineering marvel, “People’s car” in Delhi, which—though not on display—became the most discussed car among the US executives at the recent Detroit motor-show; and two, Anil Ambani’s ‘Power’ful IPO that offered 22.8 crore shares, involving an amount of Rs. 11,700 cr, has made a sort of history in the financial markets by attracting cumulative bids worth a mind-boggling Rs. 7,52,000 cr, which is said to be the equivalent of the aggregate market capitalization of companies listed in Portugal and the Czech Republic put together, that too, in a market that badly tanked during the week. Of these two, we shall take a critical look at the success of Reliance IPO, for financial events are always more glamorous. The retail portion of the issue of the Reliance Power that is engaged in developing and building power plants with a combined installed capacity of 28,200 mw, both locally and overseas, was oversubscribed by 14 to15 times attracting a record participation of 50 lakh retail investors. The portion reserved for Qualified Institutional Buyers (QIBs) was oversubscribed by 70 to 80 times with the participation of over 500 domestic and international QIBs, involving an amount of over Rs. 5,00,000 cr. Intriguingly, PSU banks such as PNB, SBI, BoI and IOB are reported to have put in bids worth Rs. 1,500-2,000 cr, which is a cool departure from their known passive disposition towards profit-making. To cap it all, the issue is said to have garnered Rs. 1,15,000 cr as application money deposited in banks which, incidentally, almost equals India’s deficit for 2006. This overwhelming response has proved a point: the PILs filed against Reliance could not cut ice with its investor block. Even otherwise, Reliance is, perhaps, more used to adverse comments from a section of media which enjoys writing about Reliance almost similar to what Rayner wrote in his recent book, The Associates: Four Capitalists who Created California to describe the four business moguls of 19th century California: “cared only about money” and to become “fabulously wealthy” they “bent laws, broken rivals, and bribed governments.” All that, of course, could not deter the group from becoming what it is today. Incidentally, this would have led a section of Dalal Street to strongly advocate that every aspiring young entrepreneur should learn from Reliance as to how to keep themselves ever agile—as Machiavelli argued five centuries ago that strategic success depends on virtu, or preparedness and readiness, and fortuna, the ability to recognize opportunities and take advantage of them—to capitalize on the market opportunities and create world-class assets in record time for the ultimate good of the investor fraternity. All this for sure, may jingle sweet to the ears of the new-age Indians, but there is a flip side to this hoopla: Reliance Power is expected to take at least another two years to generate power. And, if the experiences of the state-controlled power corporates, and electricity boards are of any value, one gets jittery of the time- and cost-over runs associated with the execution of power plants and the hassles of drafting power purchase agreements. No wonder, these factors have weighed heavily on mutual funds that were reportedly not keen on investing in the IPO. That aside, what is more disturbing to note is: Are Indian business houses once again becoming conglomerates of diverse businesses? 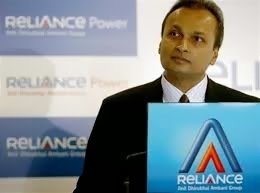 Anil Ambani today controls businesses as diverse as telecommunications, power generation, financial services, and so on. And the combined market capitalization of these companies stood at a whopping Rs. 1,42,300 cr. According to one section of economists, it is not the resources—land, labor and capital—of an economy that defines higher income countries but “the efficiency at which a society uses its resources to produce goods and services.” In other words, it is the micro-level dynamism that ultimately makes a country’s economy more vibrant by fostering all-round innovation. 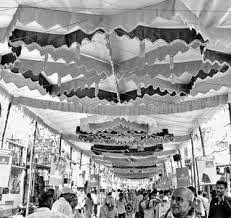 It means, the more widespread is the entrepreneurship, the better it augurs for the economy. It is the ‘fluidity’ that facilitates the exchange and networking of knowledge across boundaries, and such sharing of knowledge across many, obviously, challenges the status quo and thereby lifts the trajectory of an economy’s performance. And for that to happen, economic resources must spread across. There is yet another danger with corporates becoming too big in diverse fields, that too, in the hands of too few, particularly, in developing economies where institutional setup is not all that matured: regulators, being over-awed by the mere size of these corporates, tend to fail in making these giants behave. Even the so-called matured free markets, such as the US and the EU, took pretty long to make corporate giants like Microsoft submit to the competition laws. The recent happenings at Citi—the financial conglomerate that has written off its loss to the tune of $18 bn—which was once considered “too big to fail”, make one wonder if it has “become too big to succeed”. All these arguments compel even an optimist to pause for a while and wonder if we are learning anything from the global experiences. Maybe, time alone steers us out of these traps, but in the meanwhile, let the investors in the IPO enjoy good returns.